James Courtney has been fined $1,000 after contact with Richie Stanaway on the cool-down lap following the Saturday race at Hidden Valley. The pair had fought out 23rd place in the closing stages of the 42-lap race – Stanaway taking the place after bumping Courtney wide at the final corner. After the chequered flag, Courtney drew alongside Stanaway into Turn 5 to remonstrate with the Ford driver. The cars made side-to-side contact, forcing the Kiwi wide and onto the grass. After an investigation and hearing that was concluded this morning, Courtney was deemed guilty of careless driving and fined $1,000. A defiant Courtney claimed that Stanaway had initiated the post-race contact. “I didn’t turn into him, I was driving beside him, he turned into me,” he said. Stanaway also copped a penalty, with five seconds added to his race time for the bump-and-run at the final corner. “I thought he had an issue with his car or something,” the rookie recounted of the late-race battle with Courtney. “He was sort of blocking for the last three or four corners of the last lap, I tried to [dive] bomb him into the last corner and then he covered me. “I bumped into him, he ran wide and when the tyres are so old at the end of a stint like that, if you bump someone they’re never going to get drive onto the straight. “Obviously he got passed and he wasn’t too happy about it, because he fed me off on the in-lap. Courtney bounced back strongly to be second in this morning’s ARMOR ALL Qualifying session, while Stanaway struggled to 26th. “It felt so bad I didn’t even bother looking at the timing screen when I got out of the car,” said Stanaway. “The unfortunate thing is that we struggled a lot with race pace yesterday, so even with a bad qualifying it doesn’t feel like we’re that out of position. After the Race, and following receipt of a request for investigation from Prodrive Racing (Australia) and a report from the Trackside Officials, the Stewards received a Stewards Referral & Charge Sheet from the DRD alleging a breach of Article 2.1.3 of Schedule B2 (Dangerous Driving) by Car #25, James Courtney, in relation to an Incident at Turn 5 after the conclusion of the Race 15 when Car #25 was observed to make contact with Car #56, Richie Stanaway, resulting in Car #56 leaving the track. The Stewards conducted a Hearing into the allegation. The Hearing was adjourned until Sunday 17 June to afford the DRD an opportunity to review telemetry from Cars #25 and #56 in light of the evidence of the Driver of Car #25 given during the Hearing. Following a review of that telemetry, on the resumption of the Hearing the DRD amended the charge to a breach of Article 2.1.1 of Schedule B2 (Careless Driving) by Car #25 which was admitted. 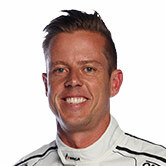 The Stewards imposed a fine of $1,000 on the Driver of Car #25, James Courtney.